It's been a while since an eyeshadow palette caused me my jaw to drop, but one look at this MUA Luxe palette and I was smitten! The makeup junkies amongst you will be instantly recognising this as a potential dupe for the Hourglass Modernist Eyeshadow palettes that came out last year. Whilst I don't own one myself (my student budget is just not stretching that far sadly! ), one of my friends has one and I've been able to have a quick play with hers. I haven't done any side by side swatches of them both as her palette is the 'Obscura' one which is full of gorgeous dark golden brown shades, and this one I have from MUA Luxe is obviously completely different, but I can share a few words on texture, pigmentation and performance to give you an idea. The MUA Luxe Eyeshadow Palette comes in two variants with five shades; Enchanted, which you can see above has pretty shimmery pink, rose gold and peachy bronze elements, and Enrapture has more of a neutral, darker smokey eye theme to it. Packaging is basic but functional - nice and compact to fit into your makeup bag, and there's a decent sized mirror. Like the Hourglass palette, the eyeshadows are allowed to take center stage of all the attention, as there are no silly little brushes (or god forbid those sponge applicators that no-one ever uses!) to add unnecessary bulk to the palette. Instead, the eyeshadows are given full permission to fill the whole of the pan and they've been merged seamlessly together into this beautiful wave-like formation. It is absolutely beautiful and I really wish more brands would be more creative with their products like this. Obviously, MUA Luxe have been 'heavily inspired', shall we say, by the Hourglass offering and first impressions just by looks alone are very impressive. 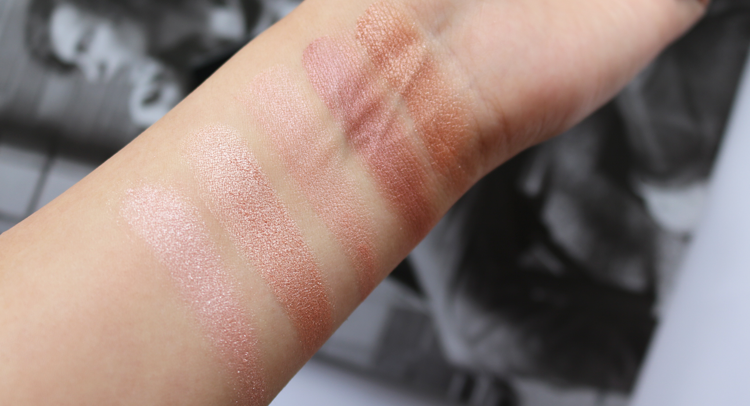 Texture: The texture of the MUA Luxe compared with the Hourglass ones are surprisingly very similar, though there are one or two differences. Both are incredibly soft and silky - so soft in fact that they kick up a lot of powder when you try to use them causing a LOT of fallout in the pan, not to mention everywhere else, though the Hourglass palette has slightly less fallout than the MUA Luxe. 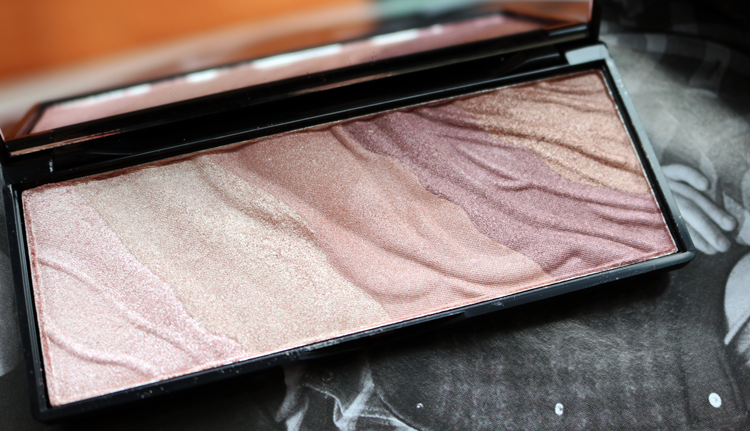 The Hourglass shadows also feel a little more 'buttery' and packed together than the MUA Luxe. 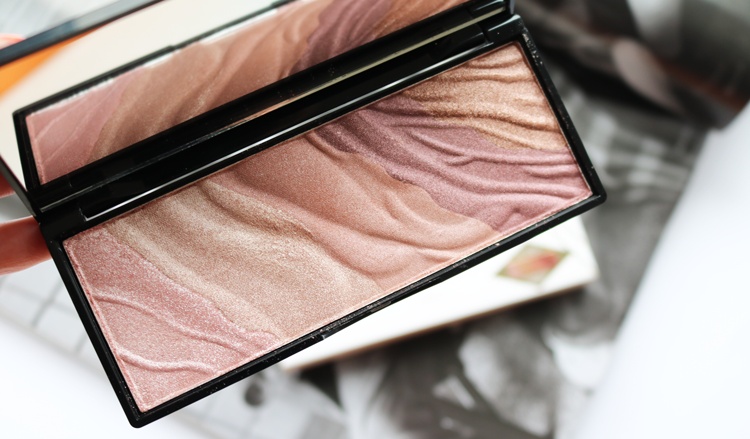 Pigmentation: The MUA Luxe palette is VERY shimmery, whereas the Hourglass one has more of a finer shimmer running through it. The Hourglass shadows are not as pigmented as I thought they would be, but they're more pigmented than the MUA Luxe, however both are still very 'light' compared to other brands like Urban Decay, NARS or MAC for example. Saying that, both palettes are easy to blend and are buildable to a certain degree if you want more colour. Performance: Although both palettes started off well, the Hourglass one definitely lasted the longest on my oily lids without a primer. The MUA Luxe didn't crease on me, but they did fade a lot faster than the Hourglass and went a little patchy as the day progressed. With a primer underneath though, they performed much better but not as well as the Hourglass palette IMO. Price: Well the Hourglass palettes are an eye-watering £56 each, whereas the MUA Luxe palettes are £6 each. I'll let you decide on that one! 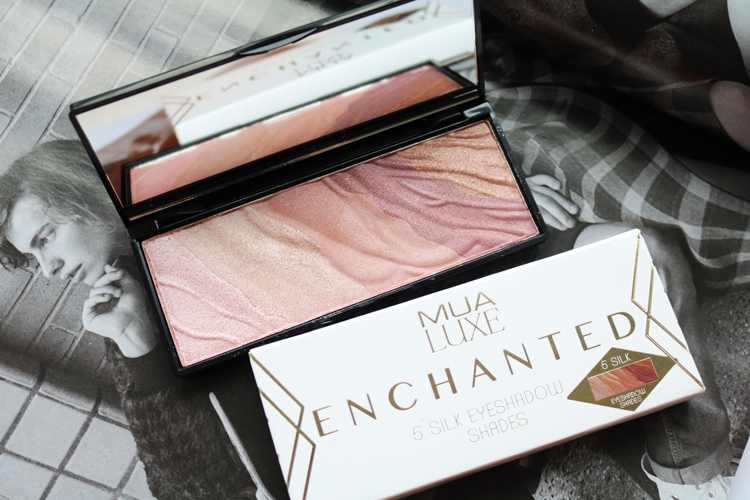 MUA Luxe Enchanted Eyeshadow Palette - swatches! Summary: Although there are some obvious differences between the two, I have to say that for the price alone, you can't wrong with the MUA Luxe eyeshadow palette. You're getting five shades in a gorgeous palette, and with a primer underneath, these really pop! Have you tried anything from MUA Luxe before? That does look gorgeous. Love a good MUA dupe. Will have to check these out! hi i have a strange question! would i be able to scrape out the eyeshadow and use this as an empty case for single pans? i've been looking for cheap empty palette but none ship to me except this!